The Law Enforcement Aerial Platform System (LEAPS) was launched on Friday, August 24. LANCASTER – It’s been less than a week since the Law Enforcement Aerial Platform System (LEAPS) was launched in the skies of Lancaster. But already, LEAPS is helping law enforcement to catch suspected criminals, authorities said. Tuesday (Aug. 28), the aircraft assisted the Los Angeles Police Department in catching a man wanted in connection with a double homicide, according to Lancaster Community Relations Deputy Michael Rust. On Tuesday (August 28, 2012) several officers from the Los Angeles Police Department were conducting an undercover surveillance operation of an eastside Lancaster apartment complex. The officers were looking for a male suspect who was wanted in connection with a double homicide. Shortly before 3 p.m., the officers confirmed that the suspect was, in fact, inside the apartment unit they were watching. At this point, they asked Lancaster Station deputies to assist them in the capture of the suspect. The city of Lancaster’s new Law Enforcement Aerial Platform System (LEAPS) was immediately dispatched to the area and, within seconds, provided the Station’s Watch Deputy with an aerial view of the apartment complex. Using this information, the Watch Deputy was able to maintain an aerial view of the complex while units were positioned around the building to prevent the suspect’s escape. Once the building was contained, the Watch Deputy used LEAPS to maintain his visual of the suspect’s apartment. This allowed the LAPD Officers to safely take the suspect into custody without incident. Lancaster Sheriff’s Station has no further information regarding the suspect at this time. Editor’s Note: We will have more information on the double murder suspect as it becomes available. 65 comments for "LEAPS aids capture of double murder suspect"
Sad sad sad. As the sheep line up, waiting for the police state to keep them safe! This is clearly in conflict to The Fourth Amendment (Amendment IV) to the United States Constitution. Hasn’t Lancaster had enough fun with the ACLU? Dispatch this aircraft in response to crime in process or it violates the constitution. Stop recording law abiding residents unnecessarily. As if law matters?This is just the latest deal.This is about making money for insiders.This is not about lowering crime.We have excellent sherriff’s.They know what they are doing.This is about paying off.This is a joke.$90,000.00 a month for nothing.Waste of taxpayer money.Should be spent on boots on the ground. LEAPS cost $1.3M for all hardware and 3650 hours of usage in first year. City is charged $300/hr for usage all inclusive. Well according to Adams numbers we are paying 1,095,000.00 per year for a 33 year old rust bucket. I can go right now and buy a Robinson R22 2 place helicopter for 265,000 a unit used quite a bit for aerial use. Even if you had to buy 2 per year it would still be cheaper to use than the rust bucket the city bought. and if you paid 43,000 for a search light then someone saw you coming and jacked up the price. hasn’t anyone heard about leasing as an option. 1. 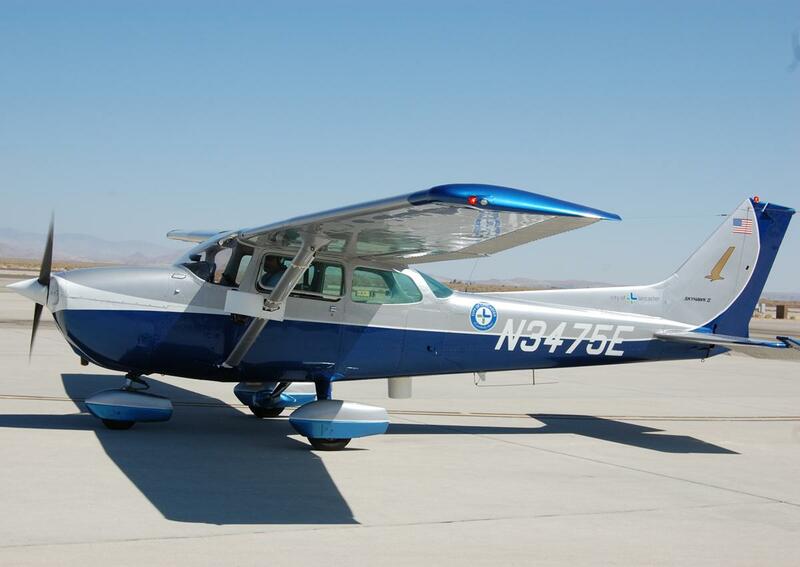 The aircraft purchased is FAA certified to be in good working condition so the exact age of the aircraft is not as important as number of hours on the airframe and engine. 2. The Robinson R22 is an example of another viable air vehicle that could have been used. The price of a brand new R22 is $258,000 and a brand new Cessna 172 is $275,000. The Cessna purchased was used and cost around $100,000. The remainder of the $1.3M was spent in hardware, development and integration of the LEAPS system. 3. There are more pilots available that are capable of flying a Cessna 172 than any type of helicopter. Robinson R22 Beta II costs $204/hr to operate. 4. Google it. LASD Paid $43,000 for spot lights for the fleet of new helicopters (each). It is under review, but that is only over priced at best $15,000 according to the report. 5. Leasing! LEASE LEASE LEASE.. such a good question. Why didn’t they look into leasing? Who would they lease from? How would that lease work with airspace? What does it cost to least currently available assets? LASD Aero Bureau might be one option. General Atomics would be another. How much would it cost per hour for each and how often would the assets be available? LASD is at least $850/hr to to operate plus deputies. They are already working to capacity so much so that many pilots are recording from 50% to 100% overtime pay annually. Again see the reports found online. Maybe if a company was started with a budget and could lease a system to the city that would work? OK, so Frank Visco and a few others got together and took a stab at it. Here is where it gets fun.. I believe (from my knowledgeable experience in aviation flight test based on having just built an entire telemetry system for a major UAV manufacturer in the last few years) that there is no way they could have built this system for the $1.3M the city provided. Just the labor alone for the development and integration probably cost 1/2 the total bid. Hardware from my best estimates ran almost $1M and who knows what was spent in the ‘road bumps’ along the way with the first attempts at the antenna system. When all is said and done I would estimate that unless Aero View sells 5 aircraft or more they will never see a dime of profit. The good part to this is that the labor rate charged to the city of Lancaster is attached to additional sales.. So the risk is on Visco not the City of Lancaster. Watch out for the second bird and the cost. Rex mentioned it in the press conference.. That may be an attempt for the city to shovel more money to Aero View to cover losses from the first one. I would be VERY observant of that purchase and if it’s also $1.3M we need to question why as this time around the cost of figuring it out has already been changed. Of course there will be a second one.How else will the investors make money?This is more about making sure the investors make money than about fighting crime.LEAPS is totally unnecessary to fight crime.Our Sherriff’s are well trained.This LEAPS only takes more sherriff’s off the pursuit and now they have to worry about making this work and look good.The helicopters would be more cost efficient since aerial support is rarely needed.Certainly not 10 hours a day.We are paying a lot of money for LEAPS to be fly around and accomplish nothing.Take the $90,000.00 a month and hire more sherriff’s.Then you will see crime go down.The only thing going down now is a bad deal. Adam the answer is yes they can be leased… my friend leased 8 for his school and flight services… besides that the only way a cessna is going to hover in one spot like a helicopter is while its dropping and crashing. I would rather be in a robinson where a controlled descent would more than likely not cause major lives lost. I will have to check what was paid for a spotlight from my friends business but if we are putting on this camera system then we don’t need no stinking spotlight. According to Rex it can see through walls. So scott I looked at the photo above… where’s all this rust you talk about? Oh I forgot… facts are not important to you. Just endless “anti Rex” and “anti government” ramblings. Go ask your friend just which aircraft costs more to operate. The Robinson or the Cessna. If you’re complaining about the cost now, what do you think the cost would have been had a Robinson been used? … or Rex. All your doing is trying to line your buddies pockets at our expense, provide us with crappy service and well it reminds me of your last 4 years as mayor… a complete disaster to this city. Lancaster is broke, half a billion in debt. and you give frank 8 million to cover a hole on a piece of land that is still undeveloped. Only a idiot would do that. Now, now, Scott. Lancaster is a ‘world class city’, the BLVD is the safest place in the universe, car buyers from all over California will come to buy their cars at the Lancaster Auto Mall, Lancaster is a Christian community, Mayor Rex is thinking of selling his big house and moving to a condo off the BLVD, and other amazing stories told by Parris over the last few years, waving his hands the whole time. I’ve heard that in China, deception in business dealings is a virtue of sorts, so I’m wondering who will screw who in the solar panel/battery operated car plant that Parris has been bragging about. I suspect that the Chinese know a sucker when they see one. You can only con a con-artist and Parris is a con-artist and will be conned. BTW, What ever happened with that ‘BYOB’ car plant that was supposed to come to Lancaster? Haven’t heard anything lately. Did they go to LA instead of fabulous Lancaster? What is going to happen to that ‘covered hole’ on 10th Street West? If they were to build a shopping center, it would take away business from the BLVD. The planning in Lancaster is horrible. Scattered shopping centers with no real ‘there, there’. 2 blocks of restaurants and bars doesn’t make a ‘downtown’ does it? Since the only housing around the blvd is low income I don’t think Rex qualifys. Besides he owns dangerous dogs and he couldn’t walk them without a bodyguard with him. The owners of the buildings wont rent to him because he has dangerous dogs and the owners would be liable if they or Rex bit someone. So, in other words, Rex is a big, fat liar. I would be thrown off a jury if he was on the case. Couldn’t trust him for the time of day. You are wrong,William.Rex is not a big fat liar.He is a big liar.He is not fat. Personally, I understand that from an economic standpoint, the plane is more advantageous than than the helicopter. What my problem with this is the constant violation of privacy. There is still the notion that this plane is flying around spying on residents on their own property in their own yards without necessarily responding to a crime. Even if only a small handful of people see the images, it is still a violation of privacy, and I see it as a violation of the 4th amendment. So, regardless of how it appears by cost comparison, it is not more advantageous because it is being used in a different context. I would embrace this program as a replacement for the helicopter, but only if used in the same fashion rather than 10hr patrols. I understand time from ground to air is an issue in response times for this aircraft; but that’s not to say it couldn’t remain in the sky the same 10hrs to keep response times down, while keeping its imaging devices off until requested to respond for law enforcement support. Does anyone with cost/usage questions about LEAPS know anything about the LASD Aero Bureau? I suggest you spend some time on Google and see what is really going on in that department. Then extrapolate the usage, overtime restrictions and missed calls to how it affects the limited assets assigned to the A.V. So it goes back to available assets, the cost of those assets and how that impacts the local community. The maintenance cost of each LASD helicopter is more than the total cost of LEAPS, the purchase price of just the accessories provided on the LASD helicopters is more than $2.0M each and every LASD helicopter requires two specially trained Sr. deputies for every flight. LEAPS is one commercial rated aircraft pilot flying a piston engine aircraft for up to 10 hours a day. In the contract is says the LASD Lancaster Station gets 3650 hours a year of flight time with that aircraft. With currently four pilots on staff with Aero View, LLC. and only one required for each 2.5 hour mission it is unlikely that any combination of LEAPS usage will cost as much as one LASD helicopter to operate. I’ll go as far as to bet that even 2 LEAPS aircraft would still cost less and be available more often than one LASD helicopter. In summary I’m speculating that due to budget concerns and overtime abuses on the part of some departments in LASD that LEAPS is a way for Antelope Valley LASD facilities to provide the public with the level of support necessary. Precisely one of the major flaws in this flawed project.It does not provide the public with the level of support necessary.It can only provide support when in the sky.Helicopter can be called anytime it is needed,which is rare.This is a $90,000.00 a month misuse of limited resources.The need for aerial survelliance is overblown,and an insult to the boots on the ground who have been hugely successful in lowering crime without this flying cash cow.More boots on the ground means more visibilty,more interaction with humans,more jobs,more relationship building.LEAPS means more money for insiders.Amazing how that drug bust yesterday happened without LEAPS.Amazing how thousands upon thousands of crimes have been busted across the U.S.A without LEAPS.$90,000.00 a month for what? Lets see, with a typical day probably having around 500 ‘calls’ for the LASD to respond to (and likely hitting on a regular basis 700-800), and the response area being a significant chunk of the AV (never mind out West up to around Aqua Dulce), and being served by just Lancaster and Palmdale stations, I can see how this LEAPS can be used quite often. And yes, the cost is much lower than using the helicopter, both in terms of the vehicle, maintenance, and personnel. Much like any tool, it will not be used constantly, but having it up daily, flying 10 hours, and being available to zoom in on a location, and give responding deputies a heads up to the situation, providing a LIVE aerial view in seconds, and helping provide details on the situation, possibly catch suspects fleeing and track them, all while deputies are still miles away from the location. Uh ya, that’s a pretty useful tool. As far as this story, the headline told the truth. They used the plane to have an eye in the sky on the situation, and helped keep deputies informed to the ‘bigger picture’. So in that sense, it did ‘aid’ in the capture. According to the above we only need 10hr of support per day. Hope they picked the right 10 hours. 1.3 million does not include any man hours. What are you talking about??? the 1.3 includes all the equipment which was purchased by the city and one year of labor. After that first year comes the $90,000/month. This is a complete waste of money.Why are we spending $90,000.00 for something we don’t need?Our sherriff’s are well trained.This LEAPS is a joke.Waste of money.Spend money on more sherriffs.More boots on the ground.LEAPS is WASTE. Turd, instead of guessing about things you don’t know anything about, why don’t you go down to the sheriff department, and ask them what they think of this LEAPS system? They will either tell you it’s a waste, or they will tell you it’s serving a useful purpose. Or they’ll blow you off. Just like the sheriffs are blowing off anyone calling in with burglary reports, asking for the sheriffs to check out the eye-in-sky tape. They are being told that this ISN’T for them. To busy spying on political enemies of the town. All together now; POLICE STATE! Sammy, you have some issues bro. Either you or your family (both?) have obviously been on the wrong side of the law. You keep whining about “police state.” What are you doing outside that you are so worried about the cops seeing? If you called the cops with the same attitude you display here, I see why they’d kick you off their phone or out of their lobby. If you’re so unhappy with the cops, why would you call them? Handle the problem yourself. Really? So they only have to do their job if they like the person making the report? What kinda prima donna’s do we have in the dept? But no worries RC. I don’t call them. And wrong again, you fascists types always need to make anyone who complains against the police state to appear like they personally are criminals. Fascism 101. Unfortunately it works more often then not. The sheep will cower under such claims. And line up for slaughter. I have the highest respect for our sherriffs.They are highly trained professionals.They have done an outstanding job of fighting crime.Now they are being forced to use overpriced LEAPS.It is being rammed down their throats.They have no choice.Rex and his investors have too much money at stake.for it to fail.LEAPS cannot fail.It will make Rex look bad.For $90,000.00 per month,our sherriffs could have more boots in the ground.to help them fight crime.I feel sorry for our sherriffs.They are forced to use LEAPS.They cannot say anything bad about it.Spend the $90,000.00 on boots on the ground. So Turd… WHO said its being forced down their throats??? Have you even asked them what THEY think of it, or are you going to continue to presume, and make up your own answers? Ask them, then report back to us. Get the facts. YES seriously! until you have spoken to both deputies in the field and lieutenants in charge of them you really shouldn’t assume you know their opinion about LEAPS. Here is an idea, contact Palmdale LASD and ask them.. Deputy Robbie Royster of the Palmdale Sheriff Station at (661) 272-2520. While you are at it ask to be notified when the next Community Academy takes place and please sign up for it. Yeah the scanner feed is gone, but not because of the plane. The site is shutting down. Thank you, Sir! That was the only way for me to know what is really going on in the AV! I am concerned that the Antelope Valley drug cartel will destroy this spy-plane using anti-aircraft missile technology. It’s not as far fetched as you may think. 1.3 Million? Where was the helicopter? More patrol cars and Sheriffs would be more cost effective. What does the helicopter with equipment cost? Betcha it’s more than 1.3… WAY more. Remember the suspect that was captured after the slaying of Mr. Keith the computer guy on Avenue K? The sheriff traced the alleged suspect to a place in South Central LA. Rather than go in like gang busters, they waited until the guy exited and they napped him. They didn’t need a 1.3 million dollar helicoper to arrest him. They used common sense and good police work. I mean Cessna airplane, opps, not helicopter. Its going to do its job over time, and surely the thugs around here will move on or think twice, Lets all be happy and encourage anything that is going to help our officers stay safe as well as the general honest public. Yeah, because we all know that cameras in liquor and convenience stores has stopped ALL robbery’s. how stupid! they already knew the guy was in the appt. and had it surrounded i wouldnt say it helped. according to what the sheriff dpt said. they just wanted to make a story to justify having a plane fly over the city spying on people. Uh…here’s a $90,000 tip free of charge.Have the sherriff’s call the address of the department in to the office.Go to Google Maps.Print the aerial view.Make the arrest.What a waste of money. Did Google maps start offering live video feeds? A live video feed was needed to capture a criminal in an apartment?Wouldn’t two or three additional deputies on the ground be more than adequate?If live video is absolutely necessary,and that was clearly not the case here,then why not use the sherriff’s heliocpter?The big winner in this is Frank Visco as he gets paid.The losers are the taxpayers and the 6 sherriff’s who could have been hired to keep us safer with that $90,000 a month. Why was that “clearly not the case here”? If your answer to that is “Because the suspect was in the house… no harm, no foul”, then I would ask you how you (or the officers on the scene) would know that before going into the house? Isn’t that the point of having aerial coverage? Officer safety? Secondly, assuming the helicopter was even available to come up here, do you know how much the city pays for it per hour? People complain about the airplane, and are ok with the helicopter? I don’t understand that. As one of those taxpayers, I do expect the gov’t to spend my money wisely. The helicopter costs much more per hour to operate. Seems to me, this is a cost effective way of doing things. Plus, we don’t have to share it with any of the other stations or wait for it to fly up here from LA. LASD Helicopter costs $850/hr minimum and is only available for limited times based on usage, pilots and maintenance. While this also holds true for LEAPS, it’s costs $300/hr, has 4 additional pilots and has a much lower maintenance cost. Car engine vs. jet engine. Whether it was the helicopter or LEAPS an aerial observer can better access any possible changes that you just cant see from the ground. If the suspect bolts it’s highly likely that he can get through the containment on the ground(this seems to happen all the time), but if LEAPS tracks him then he wont get far. No doubt this is a little bit of presentation on the part of LASD and the City of Lancaster, but it’s good to know that our tax dollars they are spending are being applied in a way we can see rather than behind closed doors in buddy land deals. As for the price ask anyone in the aviation test industry.. (there are hundreds of them in the A.V.) Visco isn’t making a dime on this until it sells a number of aircraft. Currently this is a loser deal for Aero View and will continue to be until a lot more systems are sold and delivered. It’s been voted on by your representative council, it’s funded and it’s here. No reason to complain about what it does just focus now on if after a year (when the monthly lease cost comes into play) if what it provided is worth the cost. Not ignoring any possible privacy issues, which the ACLU has already said is a non-factor based on the current technology it is using. It’s not “included in the price” if that’s what you mean. They do pay extra, and then it’s only when the thing is available. The helicopter does not operate 10 hours a day like LEAPS.LEAPS costs the taxpayer $90,000.00 a month.The helicopter can provide aerial images on at need basis.It will cost far less.The helicopter would also be available any hour,not just 10 per day.What if aerial is needed when LEAPS is unavailable? The cost of LEAPS is much higher because it is in the air 10 hours a day.$90,000.00 a month.When is the last time we paid $90,000.00 in a month for the sherriff’s helicopter? I was under the impression that LEAPS was a crime fighting tool,not an officer safety tool.I can see in some instances that it could aid in safety.In this case it appears from all reports and the scanners that it was not necessary for safety or to capture the suspect.A helicopter would not have been necessary in this case.People complain about the cost because it is operating 10 hours a day whether it is needed or not at a cost of $90,000.00 a month.That is money that could be better spent on boots on the ground.Or so think many of the taxpayers.It seems that the shared helicopter is not so hard to get as we see it often enough.This LEAPS may prove to be a success,but if this is the proof of which it hangs it hat on,it is a joke. I think they could have captured this punk with or without the plane! All the stupid thing did was take pictures not put the cuffs on the prick! Stop justifying! LOL yewwwwwww I feel sooooo safe. Why, it hovered over a police action! Amazing!!! PFM! You know what would make me feel reallllllll safe? A “eye-in-the living room”. Imagine how marvelous it could be? It could within seconds, provided the Station’s Watch Deputy with an living-room view of the apartment. Using this information, the Watch Deputy would be able to maintain an living-room view of the apt., while units are positioned around the living-room to prevent the suspect’s escape. Once the living-room is contained, the Watch Deputy use EILR to maintain his visual of the suspect’s living room. This would allow the LASD Officers to safely take the suspect into custody without incident. Where can I purpose the idea? Not to be confused with the “Eye-In-Bath Room”. EIBR. Gives new meaning to the phrase “Caught with his pants down”. hahaha guess we can expect “eye-in-yourwhiteys”. EIYW. That’ll get them! also known as EWWWWWWW! Sounds like a scene from Blue Thunder with Roy Scheider. It doesnt see everything!! Hahaha! !